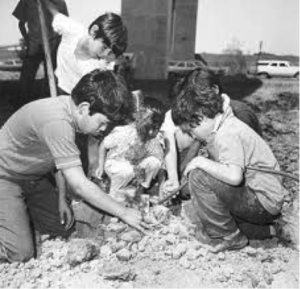 On April 22, 1970, residents of Logan Heights, in collaboration with student and community activists, interrupted and suspended the construction of a highway patrol station happening on the piece of land the community had previously allocated for a park. 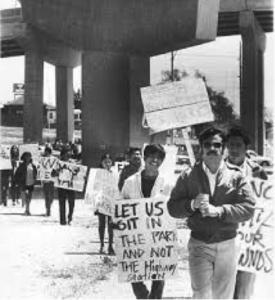 With pressure and commitment the community physically inhabited the land, driving out the construction workers in a historical phenomena known today as the Chicano Park Takeover. 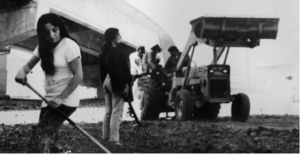 This manifestation marked a major victory for a community already carrying the weight of gentrification, militarization, and environmental racism, yet it also catalyzed what would become an ongoing battle for space inspired by cultural resistance and pride. Although over forty-five years have passed since the historical takeover, the Logan Heights community—specifically the courageous curators of the park—keep battling for the space. 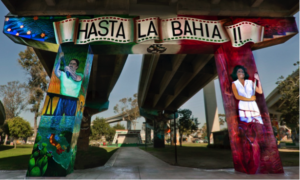 The city’s continuous brazen efforts to intervene are always met with strong opposition, rooted in paradigms of radical love, emotional connections to the land, la tierra, and self-determination. 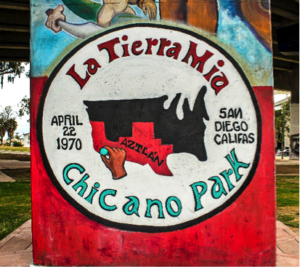 Chicano Park is home to the world’s largest collection of outdoor murals. 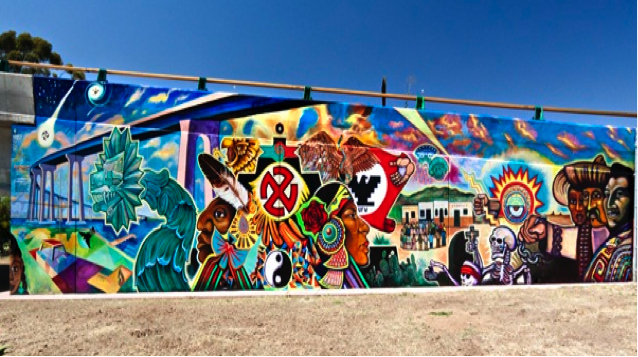 Over eighty murals and a handful of sculptures bring life to a space unrecognized by the city. 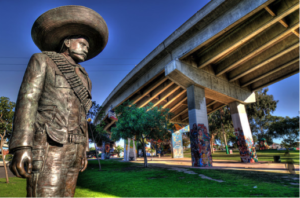 Individually, each piece historicizes different aspects affecting Chicano culture, ranging from Mesoamerican influences to local San Diego Chicano struggles. Collectively, these works promote cultural resistance and awareness. Additionally, and perhaps most importantly, they educate and implicitly validate community knowledge as real knowledge. 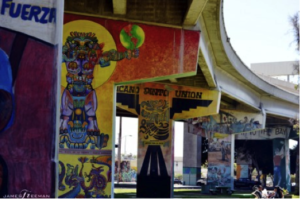 Uniquely, most of the Chicano Park murals have been painted on the pylons that sustain the Coronado Bridge, the very same bridge that displaced many people in Logan Heights with its construction in the late 1960s. By utilizing the pylons as canvases, artists have reimagined the landscape, branding the space as a site of cultivation of knowledge and identity.